Full report on Bristol Against the Arms Trade blog here. On 4 December, the WesternEye published an updated version of the article entitled “UWE fails to act after repression of student protest” that can be read here. The original version of the article, published in the November 2014 paper issue of the WesternEye, can be read on the website of the #reviewUWE campaign. Sometimes stories in the news can make you wonder who is really pulling the strings. This 10-minute video exposes the role corporate lobby groups have in EU decision-making – who they are, how they get what they want, and how they affect you, and others like you all over Europe, from the food on your plate, to rules for bankers, to the chemicals allowed in everyday products. Watch, learn, and share! Featured image from The Bristol Cable. On 17 May, The Secret Administrator posted this report, summarising some of the planning issues with the UWE stadium, and suggesting that the delays may become a financial problem for UWE. On 29 October, it was the turn of David Goldblatt in The Bristol Cable to challenge the project, this time questioning the relevance of a 21,700 seat stadium for a football club whose matches attract no more than about 6,000 on average, and the poor urbanism thinking behind this project. Meanwhile, at UWE, UWESU’s website keeps stating that the project has received “student criticism” (but UWESU repeatedly refused to share the substance of such criticism), and uncritically relays the voice of the university. On 15 September, UWE’s self-proclaimed “totally independent student newspaper” published a piece merely reporting delays to the planned stadium due planning issues. The student newspaper never investigated student criticisms related to the ‘UWE stadium’, but published on 14 November a (critical) review of Byron Hamburgers. 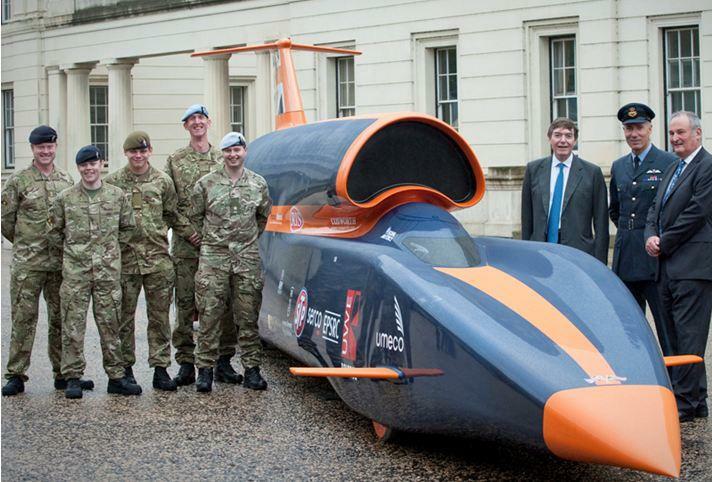 Bloodhound SSC: is a project inspiring students to work for the military sustainable? Bloodhound SSC is an engineering project that aims to break the 1000mph World Land Speed Record with a rocket-propelled car. Since starting in 2008, the project has been widely praised for its ambition and technology. However, an interview given by the project’s Senior Design Engineer in April this year suggests that the project was only set up to address a skill shortage within the military. Besides that UWE is heavily involved to serve the military, drawing on the recently published “Arms to Renewables” report by Campaign Against Arms Trade (CAAT), UWE student highlights broader implications for employability and sustainability. Read more on the WesternEye. Read more on UWESU’s newspaper.